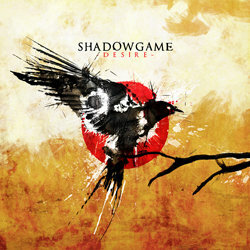 Shadowgame are a 3-piece rock band from Melbourne, Australia. Listen to their tracks and they’ll pull you back to the grungy, dirty days of skateboards and chuck taylors, of stoners and dreamers. Yet somehow they reek of a modern melancholy that strokes the heartstrings. The sort of musical emergence brought about by a post-pubescent melodic haze. Each song grabs at your past, cradles it and then violently flings you forward until you can feel the rebellious strides of your teenage self all over again. Inventive melodies that are original, catchy and deeply textured. Decorations on lyrics that are thoughtfully pained and bittersweet. An intelligent mix of blues, grunge and modern rock. A mid paced indie/alternative rock track with subtle but memorable melody. Great chorus hook with powerful lyrics about someone falling out of love.